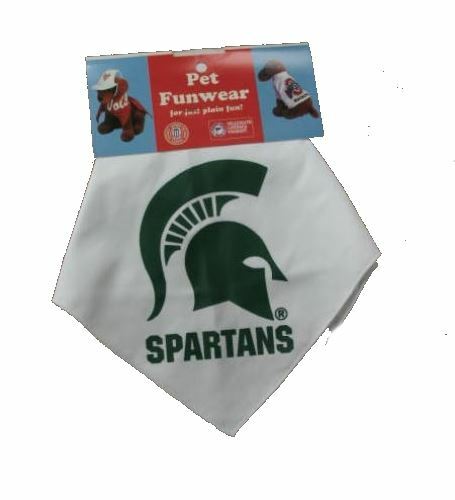 Michigan State Spartans Dog Bandanas are Officially Licensed NCAA Dog Apparel. One Size Only That Will Fit Most Dog Sizes. The Bandana Will Fit Dog Necks Up to 24 Inches.